Intake manifold bolts remain in intake manifold screw bores. 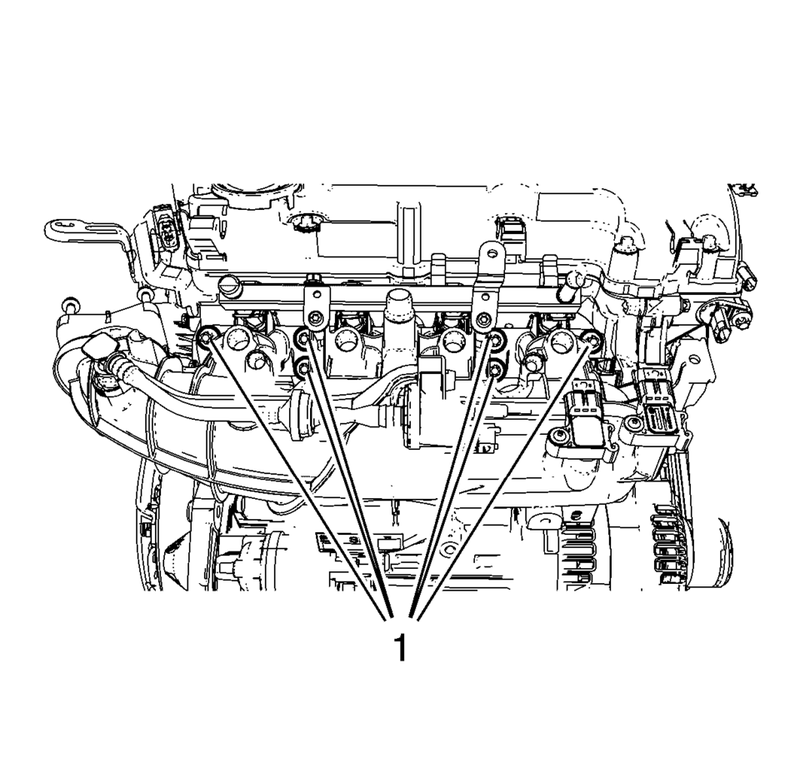 Remove the 6 intake manifold bolts (1). 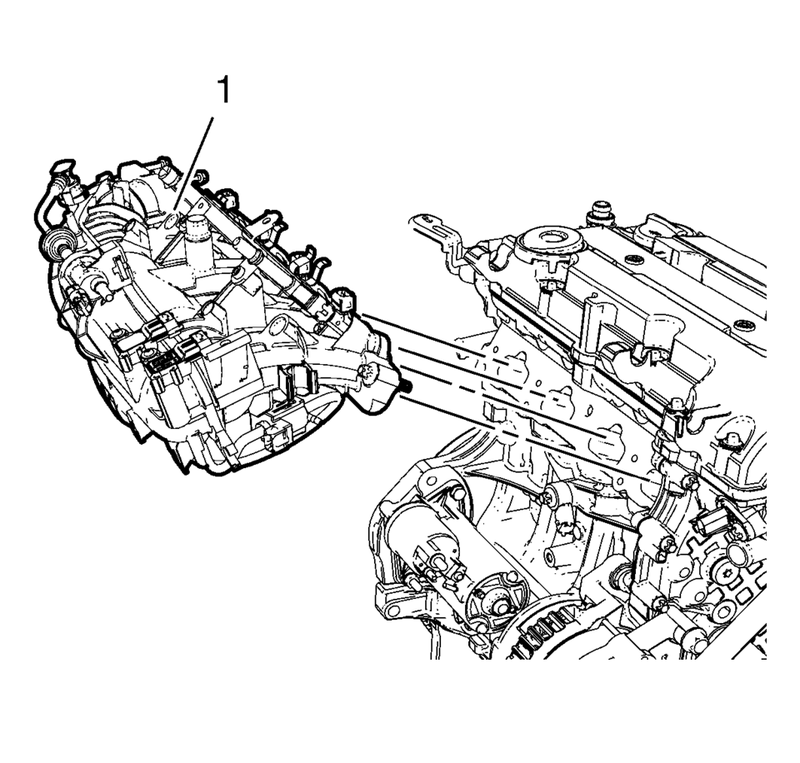 Remove the intake manifold (1) along with the intake manifold gasket.